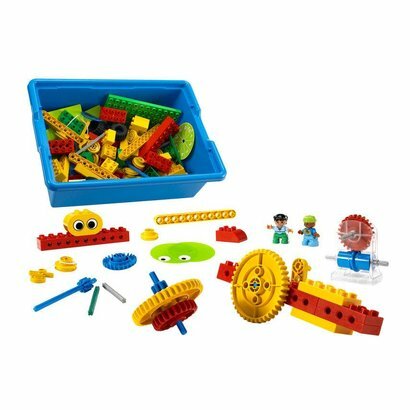 The Early Simple Machines set features a brick assortment and eight double-sided, full-colour building instructions. The set includes gears, levers, pulleys, and wheels and axles, as well as a plastic punch-out sheet with eyes, sails, scales and wings. Use this set with the accompanying curriculum pack to conduct full lessons, extension activities, and problem-solving tasks. The support materials provided in this curriculum pack include teacher guidance and pupil worksheets.